Effective training can make all the difference in high-threat scenarios. However, it can be expensive and difficult to coordinate. To this end, S&T collaborated with the U.S. Army in the development and 2016 deployment of the Enhanced Dynamic Geo-Social Environment (EDGE) Virtual Training tool. It is a cost-effective way for first responders across the country to realistically train for high-impact events, such as active shooter scenarios, from their desktops. EDGE is available for free to all U.S. first responder agencies. 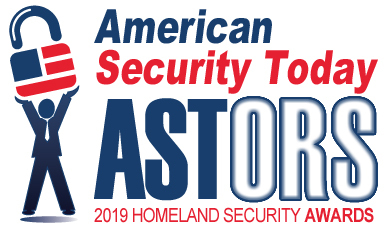 The Department of Homeland Security (DHS) Science and Technology Directorate (S&T) new Enhanced Dynamic Geo-Social Environment (EDGE) virtual training platform has been selected as a Finalist in the 2017 ‘ASTORS’ Homeland Security Awards Program. The Enhanced Dynamic Geo-Social Environment (EDGE) is a multiplayer, scalable, online training environment for first responders—single agencies or across agency, jurisdiction, or discipline—for a coordinated response to critical incidents. Built on the Unreal gaming engine, which powers such popular interactive video games as Mortal Kombat, BioShock, and Batman: Arkham City, EDGE allows responders to collaboratively role-play complex scenarios in a virtual environment, improving coordination and communication while mitigating injuries and loss of lives. S&T’s First Responders Group (FRG) developed the technology with the U.S. Army Research Laboratory’s Simulation and Training Technology Center and Cole Engineering Services, Inc. The EDGE platform allows responders of all disciplines to assume discipline-based avatars and simultaneously role-play complex response scenarios. The first scenario, an active shooter incident at a local hotel, brings law enforcement, fire, emergency medical services, dispatch, and unified command together. This EDGE scenario is now available for free to all U.S. first responder agencies. EDGE is a game-based software training application that emphasizes flexibility and ease-of-use. EDGE’s First Responder Sandbox (FRS) is designed to allow responders to train for coordinated response to various types of emergency events (e.g., active shooter, hostage, fire, mayhem) both in a virtual environment via the Internet or locally in a classroom environment. Available training roles in FRS v1.2.1 include: law enforcement, firefighter, EMS, dispatcher, unified command, civilians, and suspect. Instructors and role players may enhance training by participating as armed suspects or unarmed civilians. EDGE is a training environment that is intended to be a group tool where multiple trainees can assume any of the roles above to execute the desired training. It is not intended to be a single-trainee environment. EDGE is not a training course in the traditional sense, but rather it is a tool instructors use to train their first responder teams in a safe environment, where scenarios can be changed or re-run as many times as necessary to provide a wide range of training possibilities. EDGE also has an after-action review capability where training sessions can be replayed with full pause, rewind, and fast-forward controls to highlight key training points. Agency budgets often limit the amount of live training that first responders can conduct or participate in. The EDGE platform, while not intended to replace live training, provides the perfect way to augment and reinforce live training without the cost of a full-up live exercise. Who can access and train with EDGE? Actual law enforcement officer uses a laptop to command an avatar during an exercise in Sacramento, California. 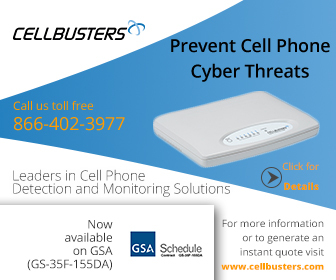 First responder agencies: visit www.cesiedgetraining.com to receive more information about obtaining copies of the EDGE software and setting up a user account. You can also call 877-EDGE-011 (877-334-3011, select “3”) to reach the EDGE help desk. What type of computer equipment is needed to run EDGE? Close up shot of a laptop running an EDGE virtual training scenario. The screen depicts the medical triage area on the street outside of the hotel. As an ‘ASTORS’ competitor, DHS S&T’s EDGE virtual training platform is competing against the industry’s leading providers of Innovative Government Training Programs. Click here to learn more about EDGE. Also please visit the New DHS S&T Mobilizing Innovation website at https://www.dhs.gov/xlibrary/SciTechMobilizingInnovation/index.html.